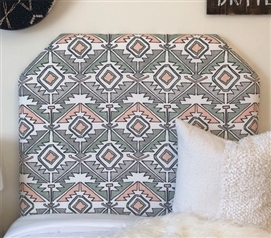 What better way to dress up your Twin XL sized bed than with a handmade in the USA college dorm room headboard? 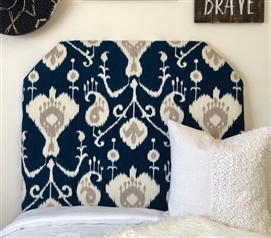 Our one-of-a-kind Designer Style college headboards let you choose a totally stylish Twin XL bedding accessory to add to your dorm bed. 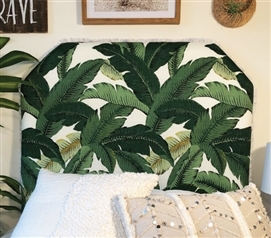 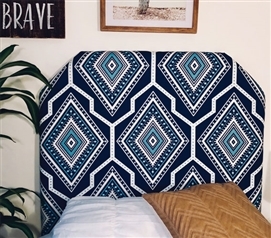 No matter what your college bedding looks like, we have a super stylish Twin XL headboard to enhance the appearance of not only your extra long Twin bed but your entire dorm room! 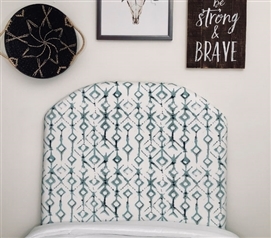 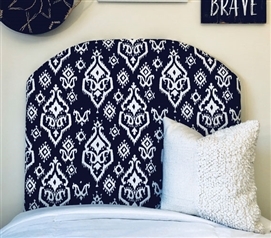 The unique look and sturdy construction of these dorm headboards will ensure you have extra comfort and support on your Twin XL sized bed. 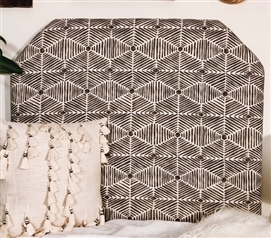 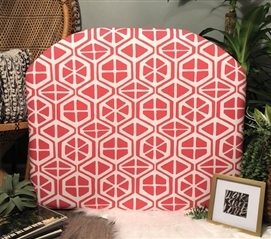 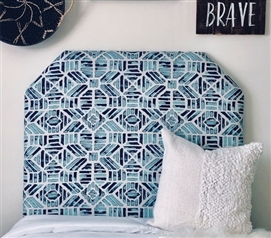 Dorm room headboards that are made to add style to your dorm room are definitely an essential part of your college decor. 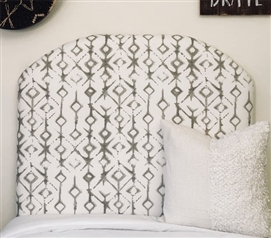 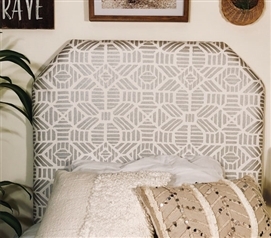 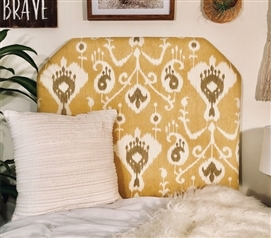 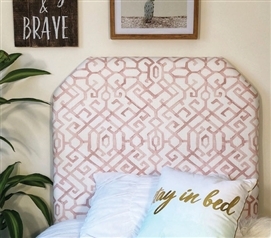 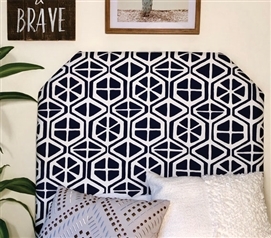 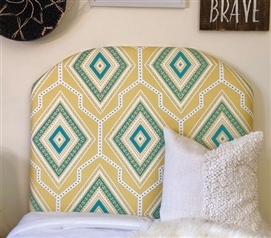 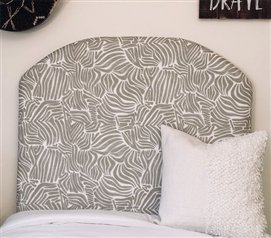 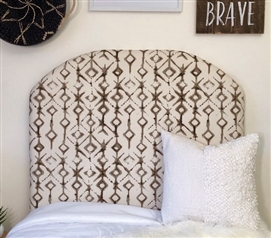 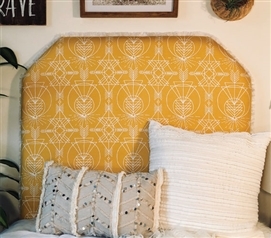 These unique designer dorm headboards are designed with your college Twin XL bed in mind. 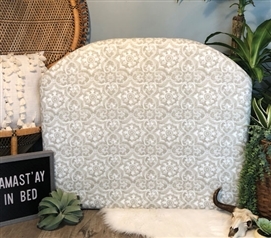 Lovingly handmade in the USA, these stylish college headboards are made with durable wood, cushioned foam, and soft material to give you the best extra long Twin bedding possible.